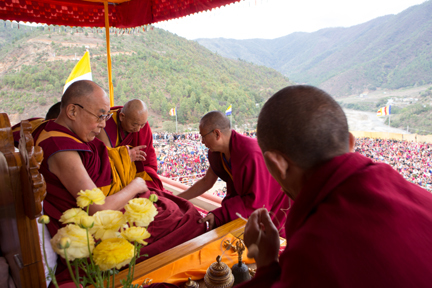 On April 5, 2017 His Holiness, the 14th Dalai Lama performed the official consecration ceremonies for the temple. 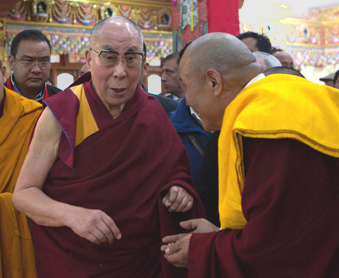 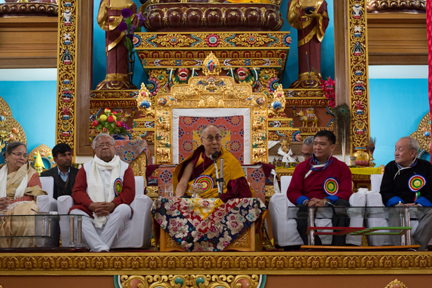 The next day His Holiness gave teachings, conferred a Chenrezig (Buddha of Compassion) empowerment and blessed the many people who traveled from diverse Himalayan regions to attend. 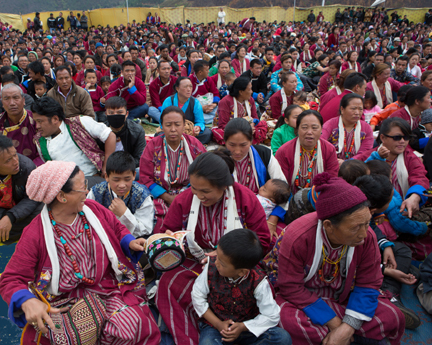 These events were followed by the two-day National Seminar on Tibetan Buddhism and the People of the Himalayan Regions. 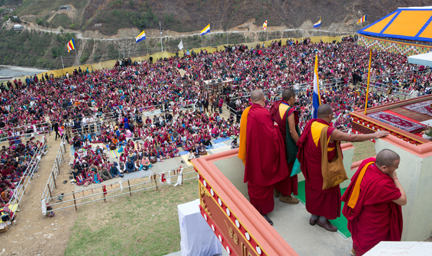 Indian Government officials with His Holiness during opening ceremonies. 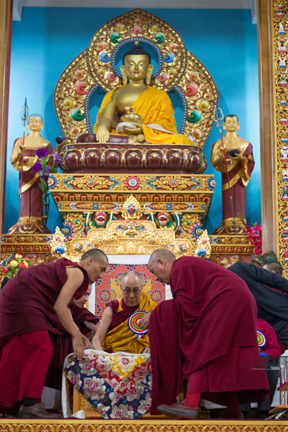 His Holiness gave teachings on Geshe Langri Thangpa's Eight Verses of Training the Mind (Lojong tsikgyema) & Guru Yoga (Lama neljor) and conferred the Avalokiteshvara Permission (Chenrezig jenang).